Join the club by talking to Payton Bennet, Kit Hager, Hannah Kennedy, or Jade Vanags. Then join the Facebook group EHS Mixtape Club! After the lunch meeting where we announce the theme begin working on a playlist of about 8 songs over the next 7 days. One week after the meeting upload your mix tape to 8tracks. 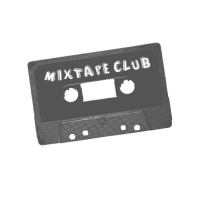 Tag your playlist with EHSmixtapeclub and the weeks' theme tag, and a description and any tags you want to describe your playlist. Also, make sure to add a sweet title and picture! Copy the 8tracks playlist link and submit it with your name on the week's page under the MIXES tab of this website . Again, by the Monday one week after the meeting to give members the next week to listen to as many participants' as possible before the next meeting. On the same page that playlists are submitted, under Mixes-> ( mix of the week), we will post everybody's playlist with their name. Listen to as many playlists as you can, try something new, find your favorites! Comment on peoples playlists on 8tracks about what you liked, the title, the cover image, and/or your favorite song! Check out and vote in the polls on the mix of the week page. We totally support collaboration! If you want to team up with someone else to make a playlist one week, you can. Just make sure to note it on your 8tracks playlist and enter both your names when submitting. Avoid "radio music". If theres a pretty popular song that you think fits your playlist perfectly go for it! But nobody needs to hear Hotel California or Royals. If you're not good with music or making playlists, you can still participate by listening and commenting! Same goes for if you can't make it to a meeting one week or don't have time to make a playlist.